It almost goes without saying that Google's operational security is not so good lately. 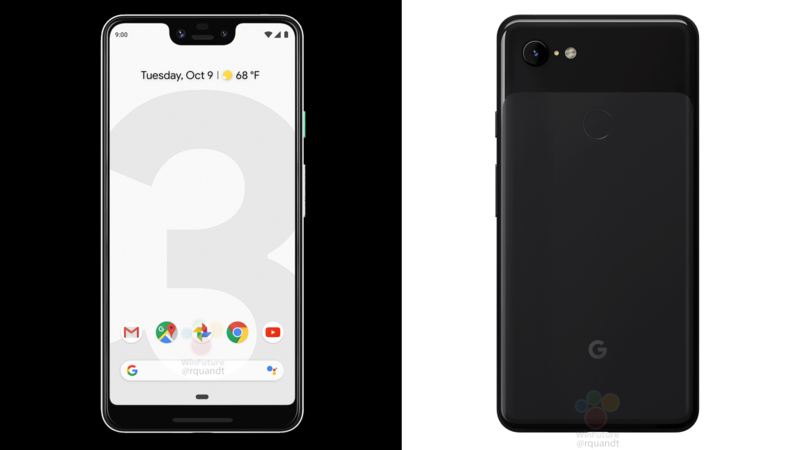 The Pixel 3 (and especially) 3 XL have leaked repeatedly and in great detail over the last few weeks. There are basically no surprises left for the Google event on October 9th, but now there's a new cache of images just in case you wanted them. The phone above is, obviously, the Pixel 3 XL. It has the large notch we've come to know, and there's a giant "3" on the homescreen in case there was any doubt. This leak includes renders of the phone in black and white (with a snazzy mint power button). The smaller Pixel 3 makes an appearance in this leak as well (immediately above). This phone is also revealed here from all angles in both black and white. From the back, the two phones look almost identical. Around front, the Pixel 3 doesn't have a notch in the display. Google is expected to show off the new Pixel phones, at least one new Chromebook, and a smart display at the upcoming October event. I doubt Google has managed to keep anything important a secret at this point.